OK, here’s a quick guide on how to scrapbook to show you the exact process of scrapbooking. 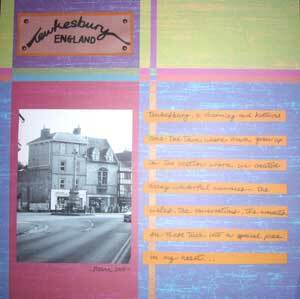 Plus there’s scrapbooking images to highlight the main steps to you. Instead of just seeing a finished scrapbook layout, you’ll get to witness the whole scrapbooking process. From a blank page to a completed scrapbook page. I shared with her my little scrapbooking process. Then I realized that if she’s feeling lost at times, then it’s very likely that other beginners would feel likewise. I mean, I felt lost too when I started out. That’s how this little scrapbook guide was born. My goal is to share with you my process and let you know that scrapbooking is nothing complicated, and you can start off quickly on your own too. Everyone starts from somewhere. Everyone creates differently. In time to come, you’ll come up with your creative process that fits you nicely. It doesn’t mean that I follow all these steps in the order specified all the time. Sometimes, I might get inspired by a layout I’ve seen and I would go in search of photos that’ll match that layout. Other times, I might jump forward to the journaling portion first. This is just a guide on my general work flow that I go through when I scrapbook. Hope you’ll get some scrapbooking ideas and good inspiration from my scrapbooking process! Pick out a set of photos to work on. The number of photos will depend on the story you want to document. Sometimes a single photo would be enough but other times, you might want 15 photos to do a double-page layout. 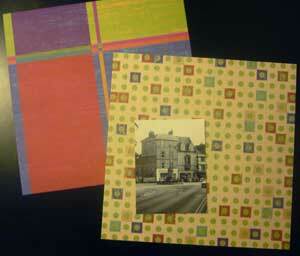 Pull out matching cardstock and patterned papers. All these are a matter of choice. You might need two cardstocks and two patterned papers. Or three cardstocks and one patterned papers. Or all cardstocks. Your preference. Draw colour ideas from your photos. Arrange photos in various placements to see which one works best or appeals to you most visually. OK, at this stage, it’s not surprising that you’ll feel lost. 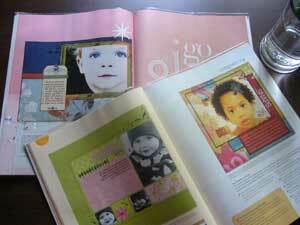 When that happens, I would pull out one of my scrapbooking magazines, flip through the pages and get inspired. It always work for me up till now. And that’s why I think it’s important to look at others’ scrapbooking pages. Decide on the layout you wanted and now you have a “blueprint” to work with. Or if you saw a layout from a magazine you want to scraplift (copy), just place the magazine at a place where you can glance at it often and scrapbook at the same time. Mat your photo(s) and crop them if needed. If you mat all your photos, it’ll give you a rather “boxy” look which might be what you want to achieve. Alternatively, you can just mat your focal-point photo and let the rest go without mats, which will lend the page a softer look. The number of mats varies based on your preference. Adhere the photos to your layout as you’ve visualized, planned or according to the layout you’re scraplifting. Design your page title and adhere it to your page. Think of your journaling and write it out in draft. I’ll normally have a piece of recycled paper when I would write out my journaling to see if it’s what I wanted and to make the necessary changes. Write your journaling as you’ve planned on the journaling box. It could be on a piece of cardstock, your mat patterned paper or your actual background paper. Give your almost done layout a good look over. Start to think about embellishment choices. You can handmade your own embellishments. Select a store-bought one from your supplies. Then adhere the chosen embellishment to your desired spot on the page. Voila! You’re done! What I did as a habit is to flip the page over and write out the creation date on the bottom far left corner. You don’t have to do this as this is just my personal preference. OK, you might look at your completed layout and still feel that something is missing. If so, go back to the layout and mess with it further until you know that you’re done. Ultimately it’s your page, and you gotta have that “completed” feeling within you. But completion doesn’t mean filling up the whole page with stuff! It’s more of a balanced look. That’s the scrapbooking process I usually go through. I’m sorry if my scrapbooking images didn’t turn out that well. I don’t have a scanner which I believe will make all these images look sharper. Until I could get better images, I hope these will help at the moment. If you’ll like some suggestions for beginner scrapbook supplies, click here. 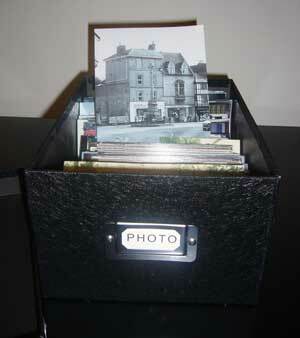 How do you get the pictures to stick in the plastic scrapbook sheets, I know that is a foolish question. Do I buy paper the same size as the sheet or what? Scrapbook paper usually comes in the common sizes of 12″x12″ or 8.5″x11″, and they also come in the 6″x6″ or 8″x8″ sizes. Try to decide on the scrapbook page size you’ll like to do. For example, if you’ve decided to do a 12×12 inch scrapbook album, you would get a scrapbook album in that size and the protector sheets in the album would be 12×12 inch, so you can get scrapbook paper in this size. You would stick the photos onto the scrapbook paper and after you’ve completed each layout, you can slip the scrapbook layout into one of the protector sheets in the album. Hope this helps! How do you scrapbook motocrossing? You can create a scrapbook on the theme of motocrossing. I’m not sure if it’s your hobby or it’s an event you’ll like to cover. If it’s your interest, you can create various layouts to express your interest on motocrossing. Such as how you got started in this sport, the places you’ve done it, people you’re doing it with, what you like about this sport, events you’ve been to, your best memories of this sport, etc. Have fun scrapbooking! I have a 12 x 12 book with a large number of pages, 3 or 4 extension posts and 2 sheets of card stock in each sleeve. It’s old OLD college articles I really don’t want to split into more than one book. What can I do to compensate for the difference in thickness where the pages fit over the posts on the left from the other side where the book opens? Make sense? I hope I’m getting your question right. If you’re wondering about how to balance the difference in thickness between the spine of your postbound scrapbook album where you’ve added on a few extensions posts and the pages of the album, you could add in thick chipboard strips to your spine for added height. If you have a postbound scrapbook album, usually when you bought the album there might be one or two chipboard strips that are attached to your album spine. After a number of pages, you can insert a chipboard strip in-between the page protectors, so the chipboard strip will bulk up the spine and make it more leveled with the album pages. I hope this helps! I love it and happy to learn more. I’m happy to learn more. I would like to create a scrapbook for my mother’s birthday and I would like to have a layout to refer to. Is there anywhere that I can go to and see? I searched for and found two layouts on my website that featured my mother in them. You can take a look at them here. Your article certainly made it easier for me to understand how to go about making a scrapbook. However, when we use several pages, how do we get them together? Do we spiral bind them? Or punch holes and just tie it with a ribbon or something? Also, what if we have 3-4 themes…so according to you how should i design the layout or rather the cover page? When you’re just starting out, you can get a general scrapbook album to house all your completed scrapbook layouts. So even if you have a few themes, you can put them all into one album. When you’ve created enough pages, then you might want to consider getting separate albums for each theme. For example, a family album, a kid’s school album, a holiday album, etc. Depending on what kind of themes you’re working on.